Toronto, ON – Québec’s top designers have joined forces with their Toronto counterparts this week to offer a glimpse into their vision and creative process with the 7th edition of Cabinet Éphémère – the Conseil des Créateurs de Mode du Quebec’s nomadic pop-up shop – at Rally Gallery at 12 Ossington Avenue. From today, Wednesday, October 5 to Saturday, October 8, 2016, Toronto fashion lovers can shop Fall/Winter 2016 direct from the rack and pre-order Spring/Summer 2017 from some of Quebec’s and Toronto’s most famed women’s, men’s and accessory designers. Bilingual media personality and fashion ambassador Glen Baxter hosts the four-day pop-up shop, which launched with an exclusive VIP reception on Tuesday, October 4, where over 150 guests previewed and shopped the Fall/Winter 2016 and Spring/Summer 2017 collections. Notable attendees included Gia Sandhu (Beeba Boys), Shannon Kook (The Conjuring 2), Ashleigh Rains (My Big Fat Greek Wedding 2), Vicky Milner (CAFA), Lisa Tant, Susan Langdon (Toronto Fashion Incubator), Robin Kay (FDCC), David Livingstone (FASHION Magazine), Jaclyn Genovese (Jacflash), Joelle Litt, Dwayne Kennedy (The Collections), Erika Larva (Monarch Events), Liz Walsh (Monarch Events), Lance Chung (Bay Street Bull Magazine), Leesa Butler (The F List), Anita Clarke (I Want I Got), Christian Dare (Stylist Box), Anjli Patel (Paper Magazine), and more. 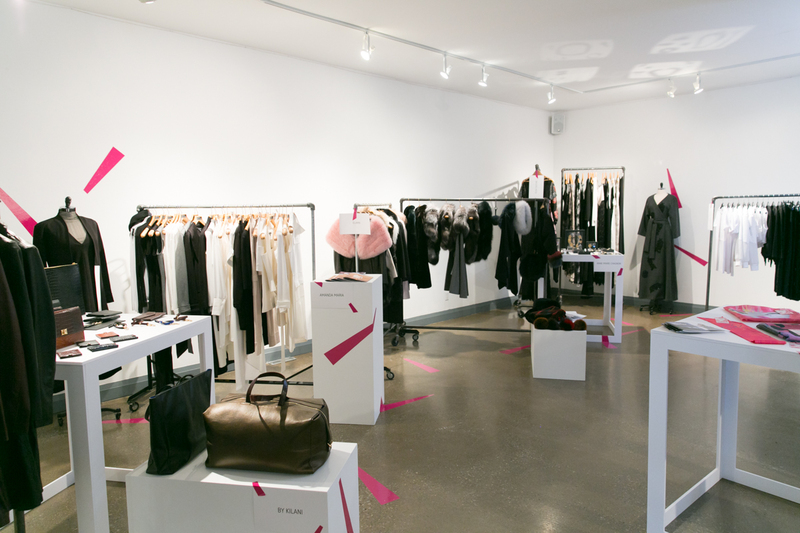 One of Canada’s most celebrated designers and a pioneer in the Canadian fashion industry, Maison Marie Saint Pierre has chosen Toronto as the location to launch her first foray into menswear. Having noticed a growing number of clients opting for her most androgynous looks, the designer decided to create a number of unisex pieces to appeal to both genders. Visitors to Cabinet Éphémère in Toronto will be the first to purchase and see this new collection in person. This is the first time Cabinet Éphémère has travelled outside of Quebec after a number of successful runs in Montreal. 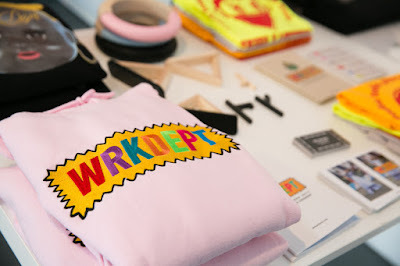 The concept shop was initiated in 2013 by designer Marie Saint Pierre - then President of CCMQ. 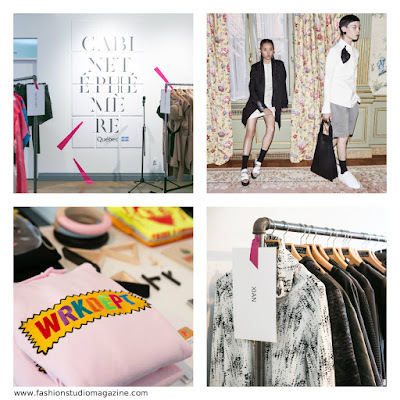 The idea was to bring together a group of talented designers to offer fashion consumers a carefully-edited selection of high-end and couture collections. Her intuition was right; over 4,000 visitors attended the first edition, held in a trendy sector of Ste-Catherine Street West. In May 2014, the event was held during Montreal's innovative C2MTL event and later that same year at the prestigious Ogilvy department store where a collaborative partnership emerged and has been getting stronger ever since. The event is now in its 7th edition with Toronto and it’s planned to span several seasons. The CCMQ is on a mission to bring together the best in established Montreal fashion with the best in Toronto fashion to empower local fashion, facilitate market and network opportunities in order to ensure growth and sustainability of their businesses. The CABINET ÉPHÉMÈRE is a new kind of pop-up boutique that offers a privileged foray into the creative process of fashion designers. 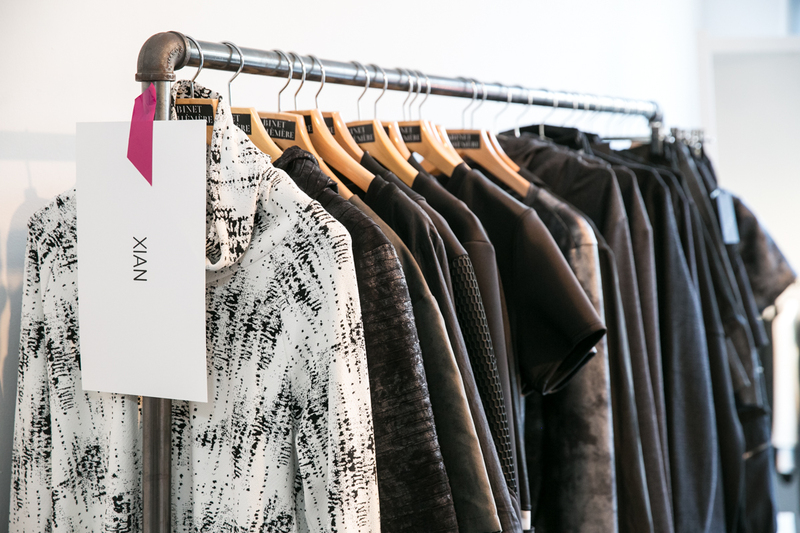 In a trunk show atmosphere, designers showcase their collections to the public. The main objective is to bring together, in one venue, designers with a similar creative approach and vision with original, quality products that draw consumer attention. 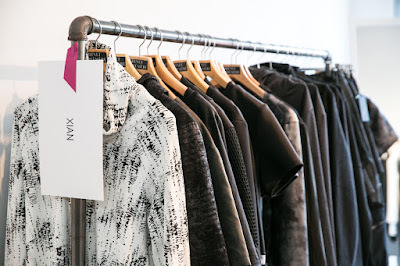 It's an innovative answer to standardized and commonplace mass-market clothes boutiques. The concept is simple and proven effective. For more information, visit cabinet-ephemere.com. The Conseil des Créateurs de Mode du Quebec is a professional, nonprofit association, founded in 2011. 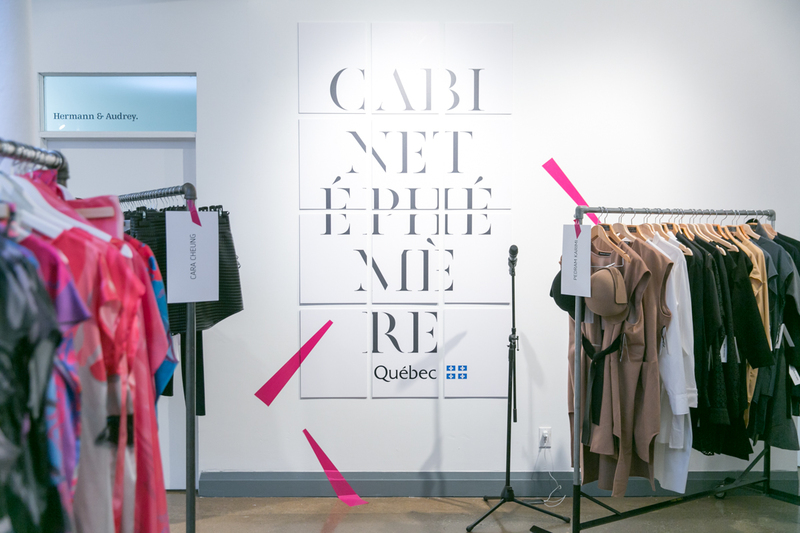 Its mission is to promote the talent of more than 100 Quebec-based fashion designers, including clothing, accessories, and jewellery. 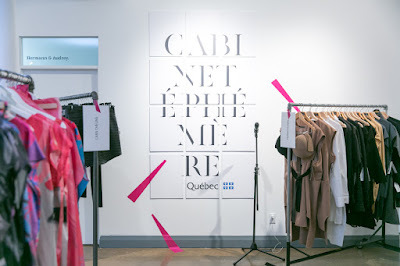 The CCMQ brings together emerging and established designers to expose to them to promotional and commercial projects; including Cabinet Éphémère, both locally and abroad. To learn more about the organization, visit the association’s Facebook page at facebook.com/mode.ccmq. Maison Marie Saint Pierre has been an established Montreal designer label for over 25 years. It is a true institution on its way to becoming one of the top luxury brands in Canada. The importance of its creator’s work was honored in the recent Canadian Arts and Fashion Awards with the Prix d’Excellence, presented to celebrate the exceptional career of a fashion designer. Marie Saint Pierre has an approach that combines artistry, intellect, and innovation. Her creations are based on significant amounts of research and development focused on clothing functionality. The company employs a team of artisans who work closely with local manufacturers, allowing a 100% local production. Glen Baxter is a Brand Ambassador, Content Producer and bilingual journalist specializing in fashion and design. He is best known as the Host of CTV's IN FASHION, which aired across Canada and around the world for over a decade. Over the years, he has interviewed A-List celebrities and fashion heavyweights like Tom Ford, Valentino, Vivienne Westwood, Roberto Cavalli, Gianfranco Ferre, Donatella Versace and Karl Lagerfeld just to name a few. He has appeared on Canada's Next Top Model, Canada AM, The Marilyn Denis Show, eTalk, CP24, CTV News Channel, The Morning Show on Global, CTV Morning Live and the Breakfast Television shows across Canada. A world traveller, he has visited more than 50 countries with his camera and has exhibited his photography in five solo shows, raising money for various charities. He is a recipient of the prestigious Queen Elizabeth II Diamond Jubilee Medal.